In past couple of years the scenario of Online sale of gold jewellery and coins is rapidly growing up with players offering doorstep delivery and free storage facility, and enabling account holders to convert gold held digitally into ornaments. Digital gold accounts in the country have surged tremendously, taking the customer base past the 80 million mark by March end. This is more than twice the total number of demat accounts in India at present. “In India, less than 10% of the population has any exposure to the stock markets as compared to developed economies where this number is closer to 90%,” he added. The two national depositories NSDL and CDSL had 35 million demat accounts between them at the end of 2018 and are estimated to have 40 million by end of 2019. Demat of shares was first launched in 1997. While first digital gold account was launched some fifteen years later in 2012-13. The best thing about buying gold online is that you can buy in small quantities over period of time and take a physical delivery later at your convenience. 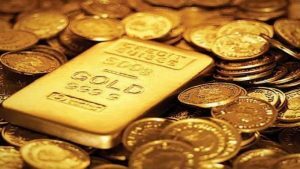 Digital gold or gold purchased online on different online platforms, including PayTm or Google Pay, and stored in online accounts, has seen a surge in the last one year. In the past two years PayTm, a wallet and SafeGold, (a brand with Digital Gold, a Joint Venture between the Private Equity firm Invent Capital and the World Gold Council} are offering the precious metal in digital format. Augmont, an integrated entity engaged in everything — from refining of gold ore to retailing of pure gold — started offering digital gold or Digi Gold back in 2012. Other companies offering digital gold account services include Motilal Oswal, PhonePe and Google Pay. Google Pay’s entry, in fact, is seen as a huge motivator to this segment, given its wide reach, says one industry expert. Industry estimates 8-9 tonnes of gold is sold a year on these platforms and some tonnes are also delivered at their door step. Online sale of gold jewellery and coins is rapidly increasing and huge jump in customer base of digital gold has only hit hard the physical jewellers, especially mom-and-pop stores. Online players are also various convenient options means offering physical delivery at the doorstep and free storage facility and are also allowing account holders to convert gold held digitally into jewellery and ornaments. Augmont has its own gold refinery which supplies gold for delivery. Paytm, Phonepe and Google pay buy and store gold sold on their platforms with MMTC-PAMPS. Safe gold and Augmont have tie-ups with IDBI Trusteeship company and with Brink for vault and logistic support. “We are offering an option to convert gold in digital account to buy jewellery from Caratlane or Candere, the online subsidiary of Kalyan Jewellers,” said Gaurav Mathur, MD, Digital Gold India, which has floated Safe Gold. He said that they were expanding network of jewellers to give wider choice to account holders. Augmont has recently launched next generation products like gold on EMI with leading assisted e-commerce players. It delivers gold coins of denomination as low as 100 milligram or 0.1 gram. Augmont EMI products are available in 500,000 assisted e-commerce centres including Vakrangee, Weizmann, Ebix Cash, Quicksun Tech, among others, where villagers and daily income earners can visit and buy gold, silver coins or jewellery up to 10 grams on EMIs. Indians are making a rapid shift in their saving patterns from traditional instruments such as gold, real estate and bank deposits to alternatives like stocks, showed data from the Securities and Exchange Board of India (Sebi). The number of dematerialized accounts, or demat accounts, opened in 2018 was the most in at least a decade at 4 million, a 13% increase from the previous year, the data showed.